Never Coming Back is the American debut of British author Tim Weaver. Weaver’s protagonist, David Raker, is a missing persons investigator with a sorted past. What kind of sorted past, you ask? I would love to tell you, but I don’t know. While this is Weaver’s first American novel, there are three other David Raker books that have been published in England. Raker’s background is not vital to understanding the plot of Never Coming Back, but it didn’t get us off to a very good start.Already discouraged by my lack of foundational knowledge, I really struggled to get into this book. I never did. Raker is trying to find some missing people, but their disappearance may only be a small part of some sort of elaborate scheme that somehow involves some high rollers in Las Vegas. I’ll be honest here, I can’t fill in more details because I wasn’t entirely paying attention. I tried, but the plot was not interesting to me in any way. I started reading the hard copy of the book, and when that didn’t work I switched to Audible. Then I moved to the second speed on Audible, meaning the narrator was reading the novel twice as fast. From there, I tried to use three times the normal speed, but that was not an option. I listen to Audible when I run, so I will say that my speed improved substantially when listening to Never Coming Back. It’s as if subconsciously I thought that the faster I ran, the faster I could complete the book. That didn’t happen, but I did lower my average mile pace by a minute and a half – thanks, Tim Weaver! I don’t think this was a bad book at all, it’s just not my kind of book. I’m not a big fan of detective-type thrillers, and the fact that this one started so slowly pretty much turned me off from the start. The ending is an impressive one, so it’s worth it to stick with it. However, sticking with it is quite an undertaking, and by the time Weaver really hits his stride, I suspect that he may have lost much of his audience. 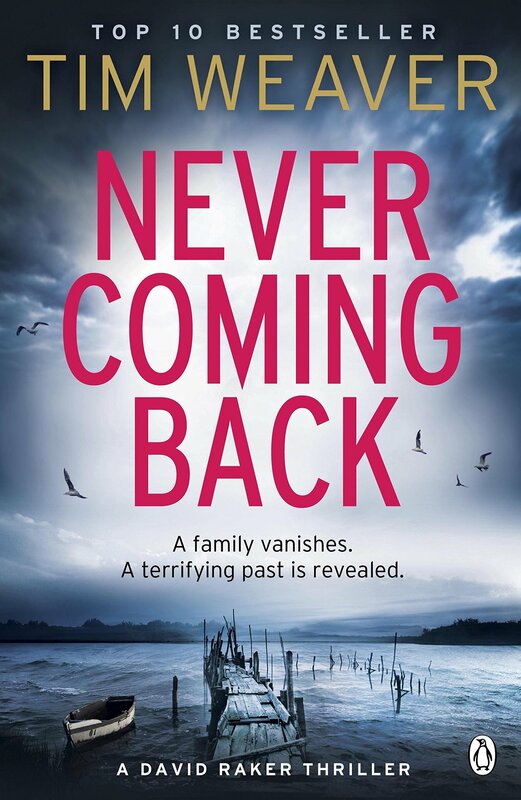 *A special thanks to Viking for the review copy of Never Coming Back.